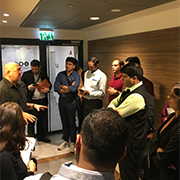 The BLAVATNIK CENTER for Drug Discovery hosted last week (March 6th) Israel's President, Mr. Reuven (Ruby) Rivlin, as a part of his delegation's visit to the Tel Aviv University campus. 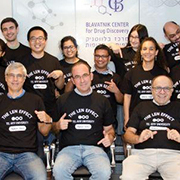 President Rivlin met with Professors Ehud Gazit, Dan Peer, Ronit Satchi-Fainaro and Miguel Weil, which are pioneering researchers in the fields of cancer and rare diseases. 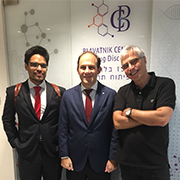 Mr. Rivlin heard about the researcher's efforts to translate academic innovations into drugs and clinical treatments.